Zhi-Hua Zhou received his B.Sc., M.Sc. and Ph.D. degrees in computer science from Nanjing University, China, in 1996, 1998 and 2000, respectively, all with the highest honor. He joined the Department of Computer Science & Technology of Nanjing University as an Assistant Professor in 2001, and at present he is a Professor, Head of the Department of Computer Science and Technology, Standing Deputy Director of the National Key Lab for Novel Software Technology, and Founding Director of LAMDA (the Institute of Machine Learning and Data Mining) at Nanjing University. He has wide research interests, mainly including machine learning, data mining, pattern recognition and artificial intelligence. He authored the book "Ensemble Methods: Foundations and Algorithms" and "Machine Learning (in Chinese)", published more than 200 papers in top-tier international journals/conferences, and holds 20+ patents. He recived various awards/honors such as the National Natural Science Award of China (2013), the PAKDD Distinguished Contribution Award (2016), the IEEE ICDM Outstanding Service Award (2016), the IEEE CIS Outstanding Early Career Award (2013), the Microsoft Professorship Award (2006), and fourteen international paper/competition awards. He is a foreign member of the Academy of Europe, and Fellow of the ACM, AAAI, AAAS, IEEE, IAPR, IET/IEE, CCF, and CAAI. He serves as an Executive Editor-in-Chief of the Frontiers of Computer Science, Associate Editor-in-Chief of the Science China Information Science, Action Editor or Associate Editor of Machine Learning, IEEE Trans. Pattern Analysis and Machine Intelligence, ACM Trans. Knowledge Discovery from Data, etc. He served as Associate Editor-in-Chief of the Chinese Science Bulletin (2008-2014), Associate Editor of the IEEE Trans. Knowledge and Data Engineering (2008-2012), IEEE Trans. Neural Networks and Learning Systems (2014-2017), ACM Trans. Intelligent Systems and Technology (2009-2017), Neural Networks (2014-2016), etc. He founded ACML (Asian Conference on Machine Learning). He serves/ed as Steering Committee member of ICDM, PAKDD and PRICAI, Advisory Committee member of IJCAI (2015-2016), General Chair of PAKDD 2014, ICDM 2016, etc., Program Chair of ICDM 2015, IJCAI 2015 Machine Learning Track, etc., Workshop Chair of ICDM 2014, KDD (2012, 2016), etc., Tutorial Chair of KDD 2013, CIKM 2014, etc., and Area Chair of various conferences including NIPS, ICML, AAAI, IJCAI, KDD, etc. He will serve as Program Chair for AAAI 2019 and IJCAI 2021. 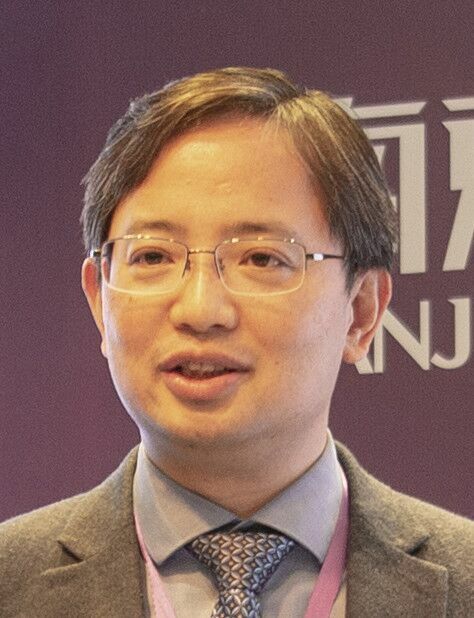 He is/was the Chair of the IEEE CIS Data Mining Technical Committee (2015-2016), Vice Chair of the IEEE Nanjing Section (2011-), Founding Chair of the IEEE Computer Society Nanjing Chapter (2008-2017), member of the IEEE CS Fellow Evaluation Committee (2015), Chair of the CCF-AI (2012-), Chair of the CAAI-ML (2006-2015), Vice President of the Jiangsu Computer Society (2015-), and President of the Jiangsu Association of Artificial Intelligence (2017-).